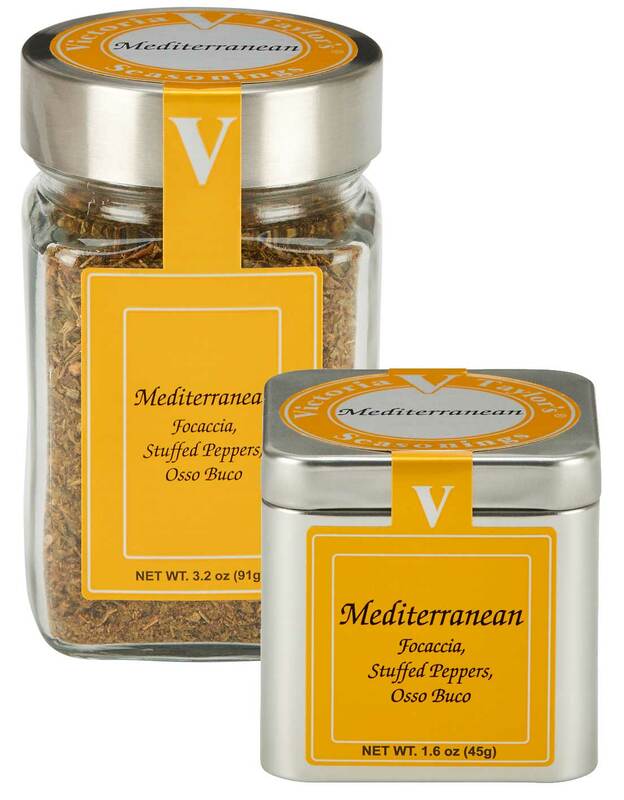 Victoria Taylor's Mediterranean Seasoning is a bold and versatile blend of classic Italian herbs and spices dominated by oregano and garlic. Large pieces of herbs and garlic add great texture and flavor to focaccia, stuffed peppers, and potato dishes. It also adds excellent flavor to Shakshuka, a Classic Osso Buco and a Mediterranean Baked Sole.